Robin is a rare breed; a multi-talented and truly international Executive Creative Director. He believes in honesty, and the powerful exchange of ideas between people and brands to influence culture. 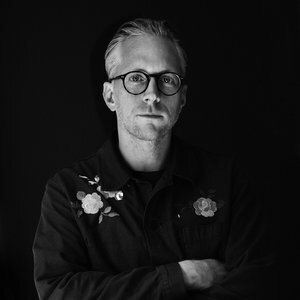 His career started as Designer in the Swedish office of Grey before moving to Copenhagen working as Art Director for Scandinavia’s largest independent advertising agency, Kunde&Co. He has spent the last ten+ years at Exposure operating principally from the London HQ and spending time at their New York and Paris offices. With diverse and eclectic experience across sectors he has helped some of the world’s most notable brands find a voice in culture: From Nissan to Nike, Uniqlo, eBay, Microsoft, Levi's, Coca-Cola and Heineken – picking up awards across categories along the way, including a PR Lion at Cannes and Best Integrated at the MAA. The architype of a modern creative polymath; Robin is able to transcend the traditional lines between bought and earned media spaces, applying a big ideas approach to deliver global campaigns seamlessly across channels and territories. - Published photographer whose work has been regularly featured in numerous contemporary magazines and blogs including iGNANT and Nowness.